Rumors suggest that this year we will see a completely new form factor of Samsung Galaxy Note 4. Considered as one of the most sought-after in its category, Galaxy Note has been keeping consumers who want a bigger screen quite happy over the past few years. However, with the current flagships trying to increase their display sizes every year (with iPhone 6 too jumping in this category with an expected 4.7″ and a whopping 5.5″ phone), things will get a tad bit different this year. Analysts suggest that Samsung would have to change the design and offer new features to set the phablet relevant among other major smartphones. If it cannot offer something different, something better, the display size alone won’t be a distinctive feature any more. 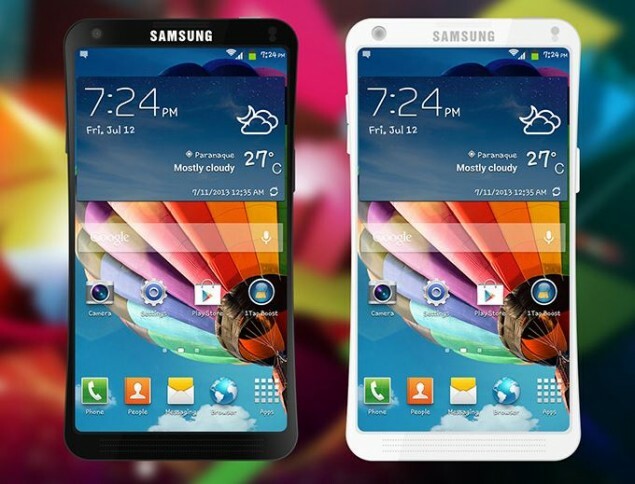 Latest rumors also share a different form factor which might be 2014’s Galaxy Note. As we shared with you before Samsung is planning to incorporate all of the features of Samsung Galaxy S5 into the Note with an improved display screen. Galaxy Note 4 leaks suggest that Samsung Galaxy Note 4 will feature a 2K display screen of 2560 x 1440 resolution which will exceed Galaxy S5’s 1920 x 1080 screen. While this Galaxy Note 4 leaks document suggest the idea of a 4K display too, it is highly unexpected at the moment. Following Galaxy S5, water and dust resistance capability is also being expected of the Note 4. Samsung might go with the Galaxy S5’s easy-to-handle dotted cover finish, but the Korean tech company might want to give distinctive looks its upcoming Galaxy Note 4. 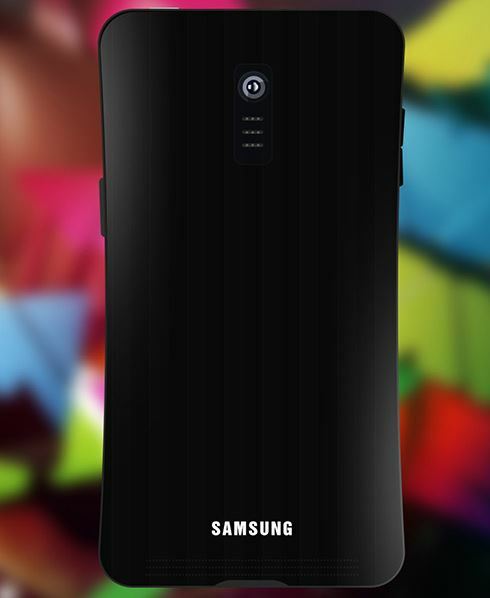 Here is a suggestive Samsung Galaxy Note 4 concept image from design Mertcan Dogan. This Galaxy Note 4 concept shows a very curvier design with perforated holes as front speakers. With a QHD display and a screen size between 5″ to 5.5″, the device could very well be the next Note 4. While it is highly expected of Samsung to incorporate some major changes in its very successful Note series, the curves shown in this concept might just be very far off. Samsung Galaxy Note 4 could also bring in some metallic design with improved camera sensors and more such enhancements.